Indmira joins the Geography Festival about Nature and Cultural Atmosphere (Geosphere) this Saturday (24 November 2018). 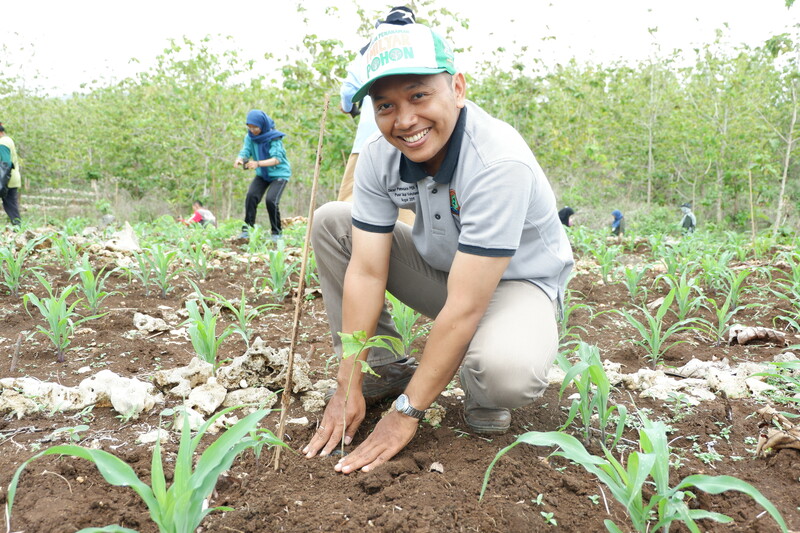 This is an event of mass tree planting and taking place in Plot 84 of Menggoran Forest, in Menggoran village, Playen sub-district, Gunung Kidul regency. This activity is one of the responses to the data published by the Food and Agricultural Organization on the Global Forest Resource Assesment showing that Indonesia is second only to Brazil in losing its forest. The Geosphere event is also participated by many university students and environmental activists. The activities are opened with speeches and lectures from the Bureau of River Watershed and Protective Forests at the office of Forest Management Office. Participants then take a walk to the planting area at Plot 84. Eventhough it rains before the planting session, everyone is in high spirit. This enthusiasm makes planting 2000 saplings of teak so much more enjoyable. In addition to visiting participants, local residents and forest rangers are actively involved. 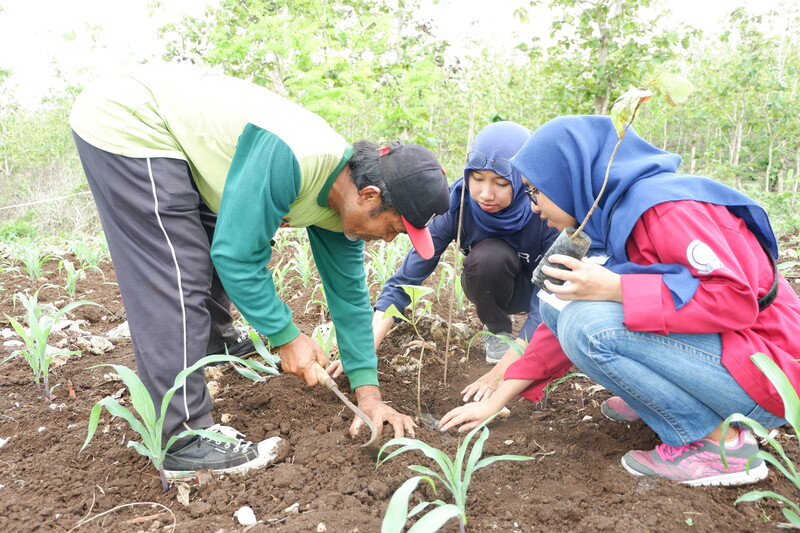 This is a part of the strategy to raise awareness and plant responsibility of local residents of the importance of forests for their environment. 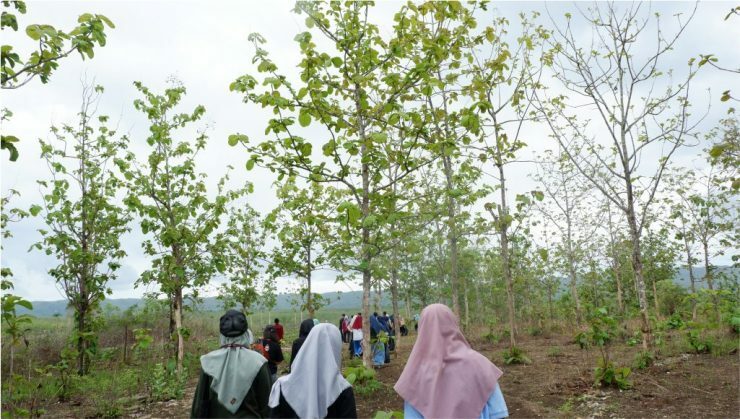 We hope that they will protect and care for these trees and directly benefit from them. Let’s stop deforestation and start planting trees!